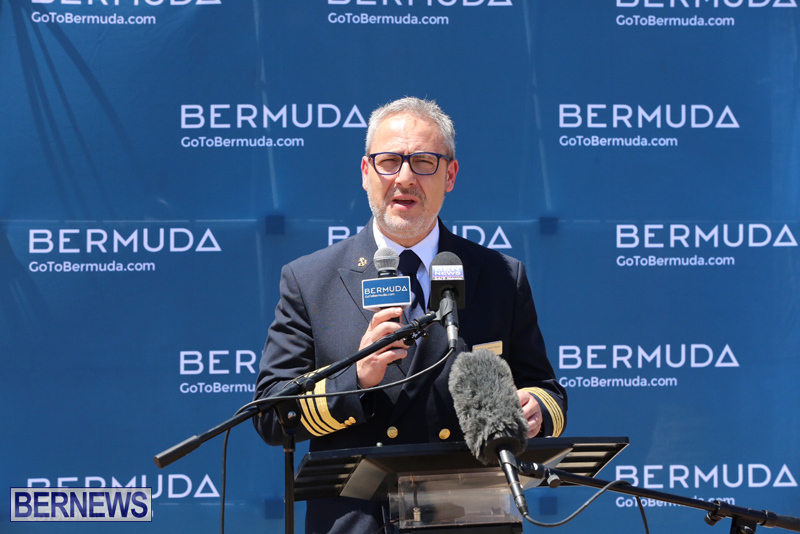 Speaking at today’s event, Minister Fahy said, “Good afternoon Mayor Francis, Members of Parliament, Councillors, Captain Armellino, passengers and crew and St Georges! 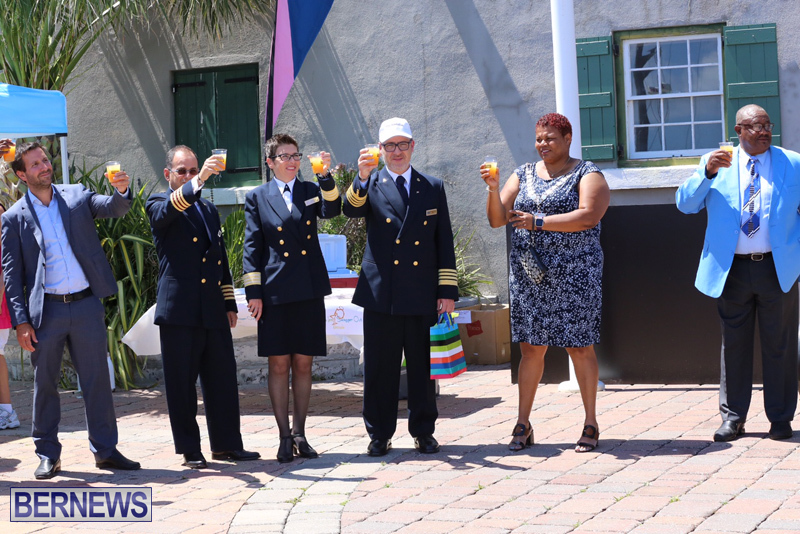 “I am very pleased to be here today to welcome Captain Armellino, his passengers and crew on board the NCL’s Seven Seas Navigator. We are honoured to have you here in the Town of St George. 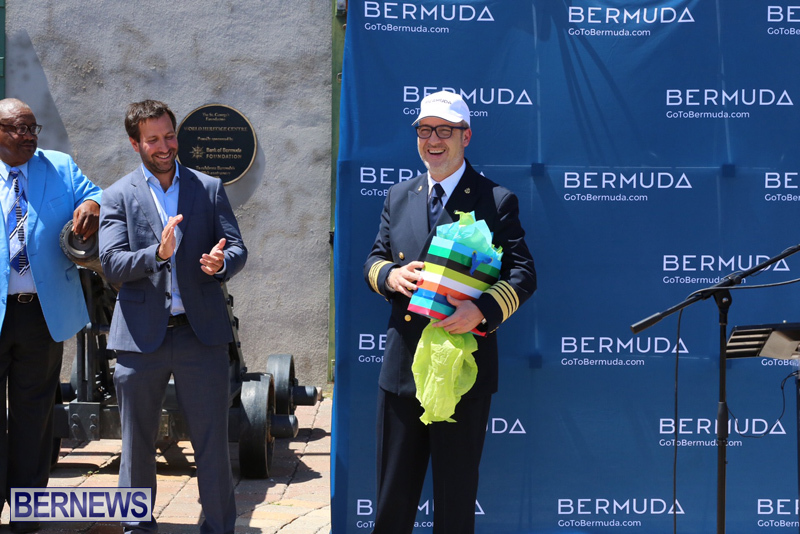 Your arrival is the culmination of efforts to attract smaller cruise ships to the Old Towne – efforts of the Government, the BTA and the Town. 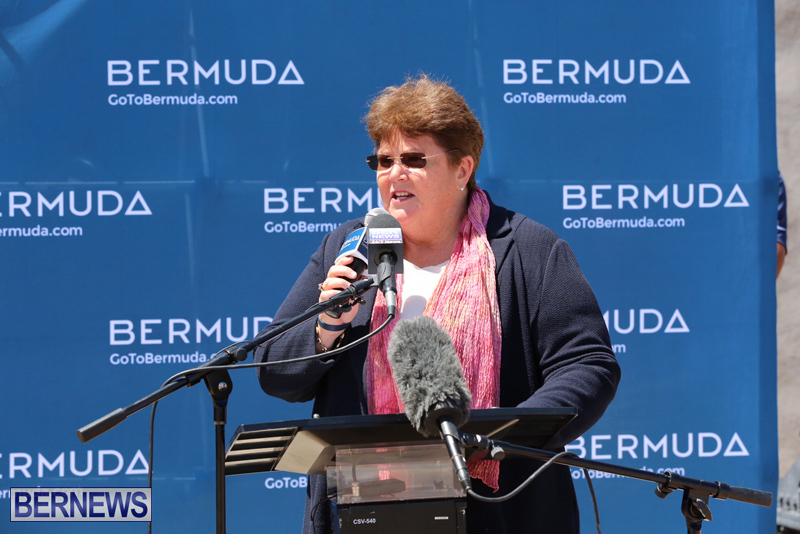 “It is not said often enough, but St. George is not just an historic town and Bermuda’s former capital; it is an important part of these Bermuda islands and its success is an integral part of Bermuda’s future success. “This is the reason the Government has advanced significant initiatives to breathe new life into the east end. “A 5-year NCL agreement brings 12 visits in the first year, together with four visits from occasional callers. 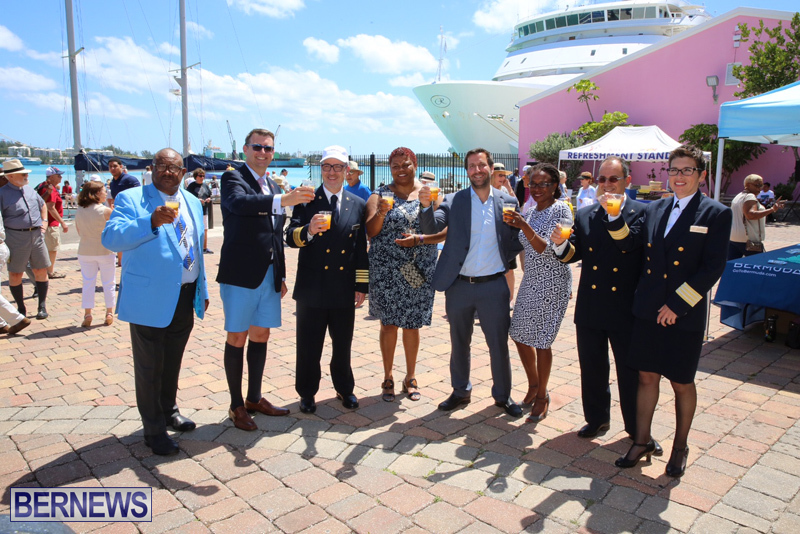 “The waterfront upgrades to the docks will also bring NCL cruise ship visitors by tender – a service which began yesterday – from the larger NCL ships in the Royal Naval Dockyard. These visits will inject a lot of business into the Old Town, which is going to help shopkeepers, job seekers and the Corporation. 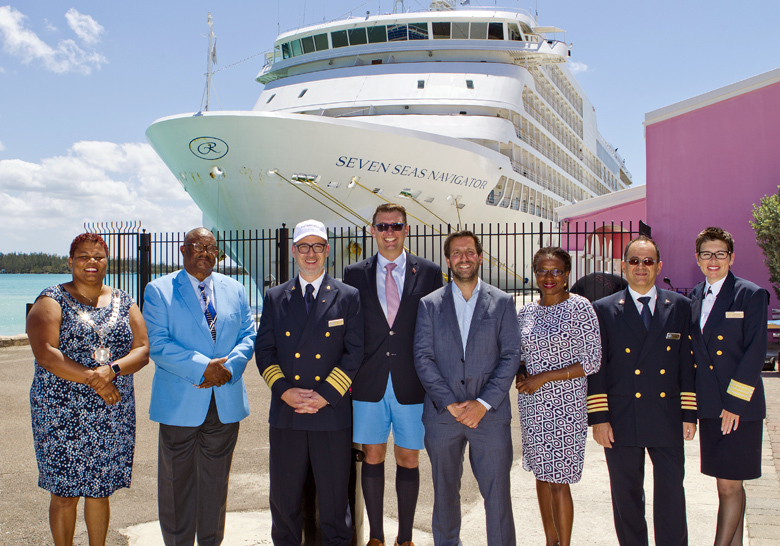 “So, the NCL commitment includes not just bringing cruise ships of excited visitors through Town Cut – when we were told it was no longer possible. 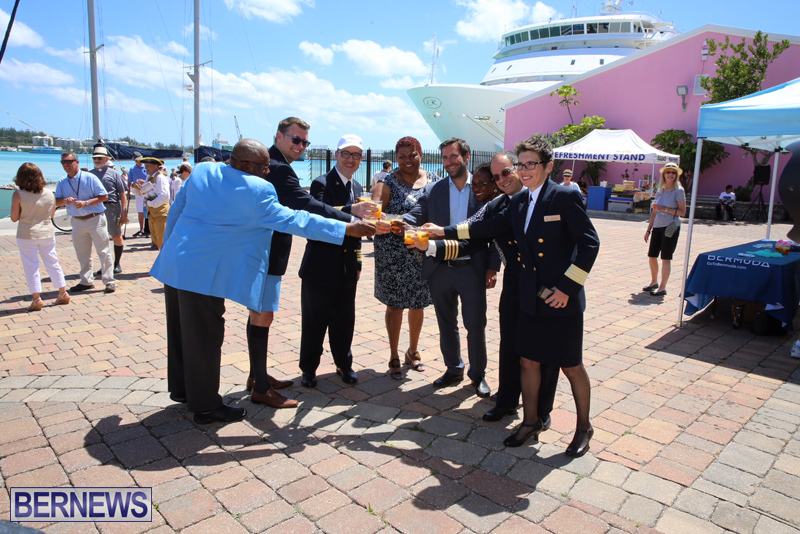 It also includes providing a dedicated round trip tender service from NCL ships in the West End that will open options for their cruise clients to widen their Bermuda exposure. “It is great to see new possibilities for this truly magnificent, historic town. “It’s great to celebrate what we can achieve when we work together. 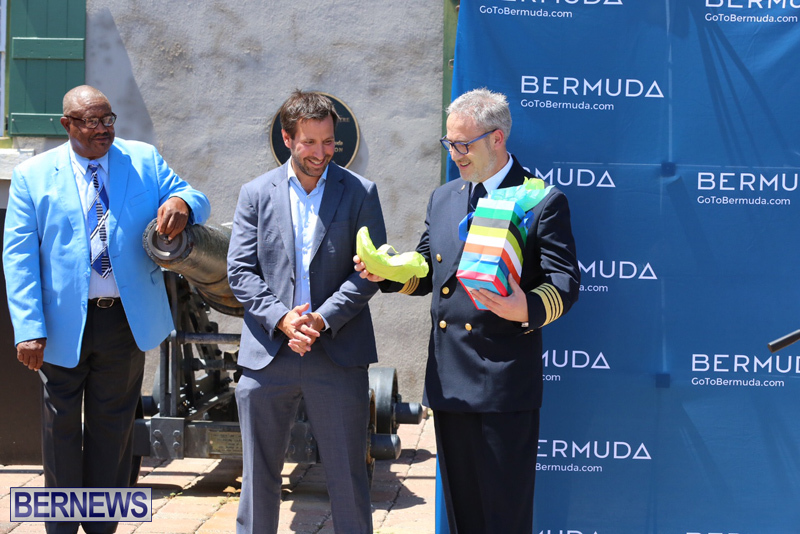 And I’m happy to say that Bermuda’s friends at NCL are delivering on a commitment to work with the Government of Bermuda, the Bermuda Tourism Authority and the town of St. George to boost the fortunes of the East End, after far too many years of limited economic momentum. “The Government is committed to the Old Town. “In 2013, the government passed the UNESCO World Heritage Fund and Levy Act which allowed the town to collect a tax on fuel imports at Ferry Reach. It has brought in more than $1.2 million for the old town so far, to be used for improving the infrastructure and help maintain its UNESCO World Heritage status. “The Government has also returned wharfage income taken away by the last Government. That amounts to about $2 million a year. It removes the need for the Government to provide a large grant. This allows the town to commit funds for projects, as needed. “This money has been used for necessary upgrades and better security. “But our commitment to St. George’s parish, and the town, didn’t stop there. 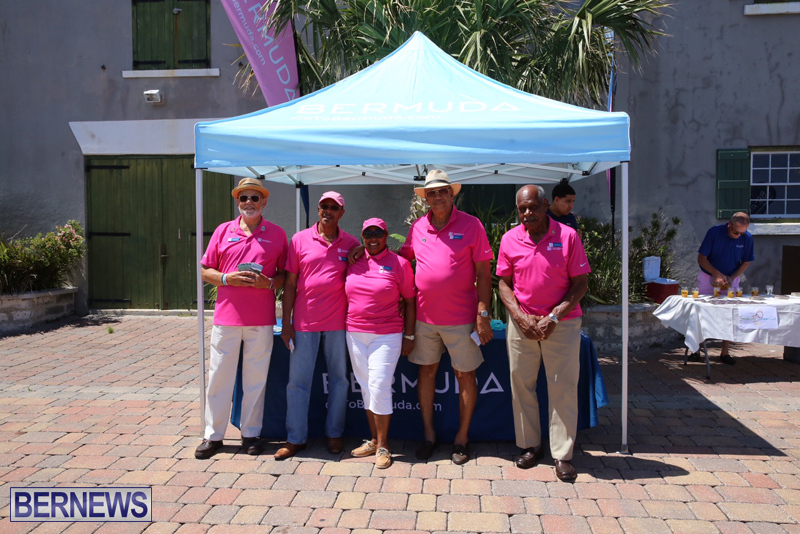 “The extensive work completed at Penno’s Wharf, improvements to the cruise terminal, the warehouse and other aspects of the town will be followed by completed work at Hunter’s Wharf. These improvements are needed for the cruise ships finally gracing the St. George’s Harbour again. “And there is no doubt we see more opportunity and a brighter future here – a brighter future for example because of the new hotel for which we have just broken ground. 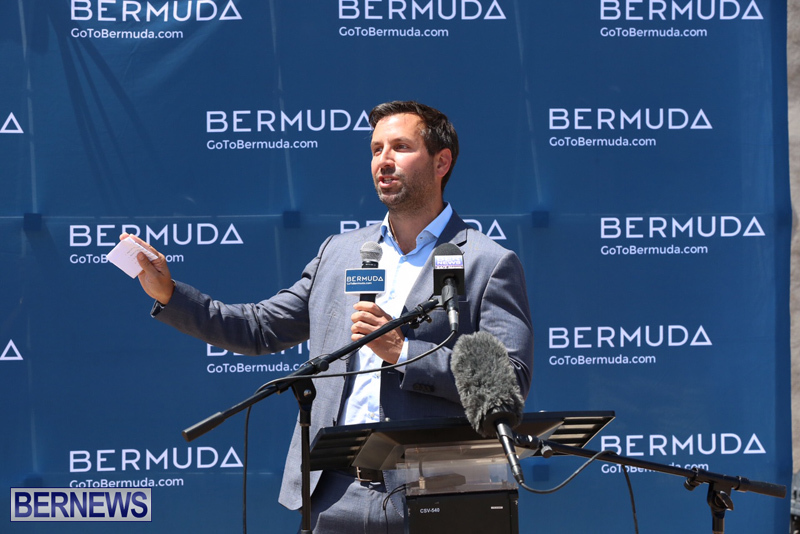 “The building of the new hotel and the new airport terminal building will busy Bermuda’s construction industry. 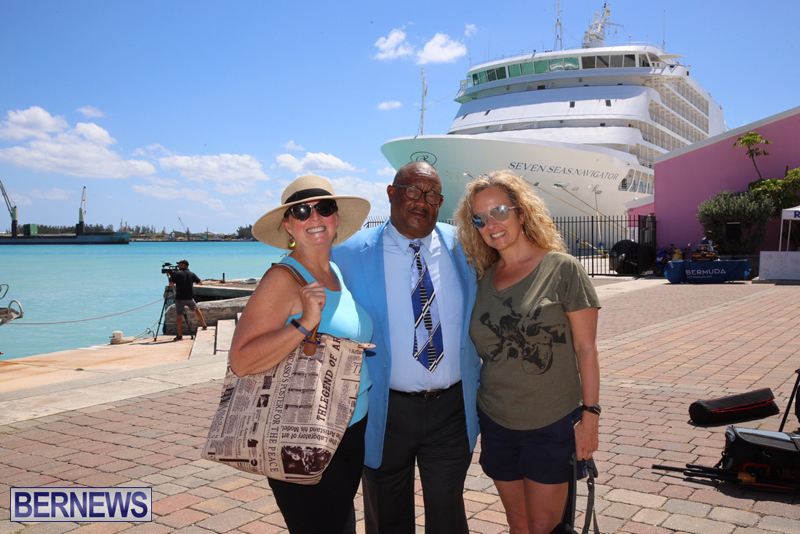 Together with the cruise ship visitors, they will generate more commercial enterprise here in the east end, long before either building project comes on line. “And when the new hotel does open, there will again be further job opportunities. “The optimism is palpable. I agree with my Cabinet colleague who represents St. George’s in Parliament, the Hon. Nandi Outerbridge, who recently pointed out that this is a big year for St. George’s. And my colleague – another St. George’s MP – the Junior Minister of Tourism, the Hon. 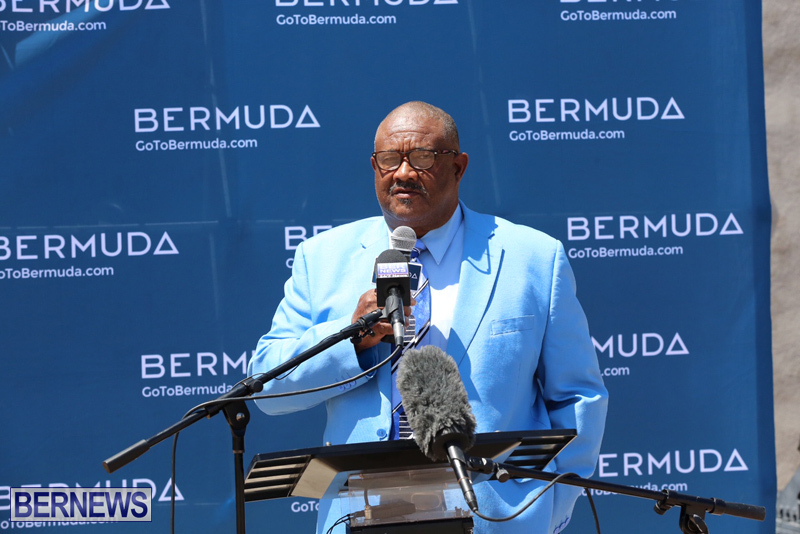 Kenny Bascome – a former Mayor who has St George’s flowing through his veins. “He knew that St George’s could once again thrive. 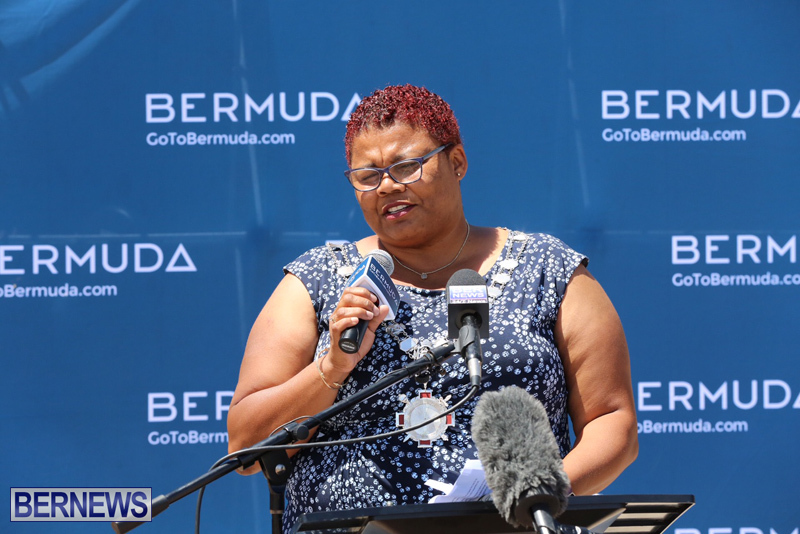 “In 2012, we promised to be a reliable partner and help bring recovery to St. George’s. And we haven’t finished yet. “The east end will also have its share of America’s Cup activities, and Tall Ships in the harbour this month. “But today, we are here to celebrate our great collaboration – celebrate our shared commitments with NCL; celebrate the hard work put in to brighten up the town. We are here to celebrate the revitalization of St. George. Omg! Will the good news ever stop?!? How dare the OBA get cruise ships to St. George’s. How dare they bring a hotel. How dare they bring a tender ferry. How dare they give a Heritage tax!! I can’t believe that’s all they’ve done! St. George’s people must be vexed that the OBA is supporting St. George’s. Oh yeah. I saw superyachts and… wait for…. TOURISTS spending money. Oh good lord! What now? Oh an airport? How dare they!!!! Need some new stores in St. George’s too. Let’s open the flood gates more and bring in foreign franchises too. That would really kick start the retail sector. That is not a cruise ship! No! No! No! The town of St George’s is alive again, thank you OBA. I hope my fellow east end voters are taking notes of which party gets it done…. OBA getting the job done. Meanwhile KimSwan up de hill worrying about some bushes on a abandoned golf course that his party shut down. I know! Priceless, right? The irony – you can’t make this stuff up! Cant say its because of Americas Cup either that the cruise ships are here. But I thought I once heard there wasn’t any small enough! !